The enterprise adopts the newest automation production technique flow, the management mode of ISO9001 quality management system and advanced testing method, integrating casing, extruding, oxygenation, electrophoresis, powder spray painting, wood grain transfer and tooling exploitation onto one body. It is a professional enterprise producing wide varieties of internationally advanced level high-class architectural doors & windows sectional bars, decoration sectional bars and industrial sectional bars. Meanwhile, we can also design and make various special sectional bars according to customers' requirements. Consequently, the company produces 'Xinyu' brand products over 20,000 metric tons each year. The quality of our products has won many honor titles, such as the 'National Inspection Free and Jiangsu Provincial Famous Brand'. Additionally, our products meet the developing trend of international building material industry. There are a series of varieties with all complete sizes showing its strong life-force. Especially, the 'Xinyu' brand fireproof imitation wood grain aluminum sectional bars and environmental protection energy saving hot-cut cool bridge sectional bars have internationally advanced level transferring printing with colorful and realistic appearance and high grade quality, trusted by our customers deeply. Having put considerable efforts on the continuous development of innovative products, we keep insisting on carrying out the guideline of 'Quality, Price, Credit Standing and Service'. 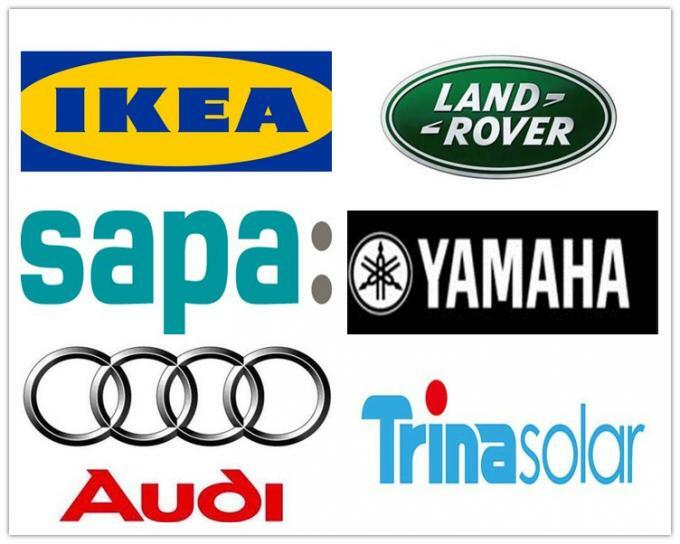 Providing quality products and excellent service, we are now looking forward to even greater cooperation with overseas customers based on mutual benefits. Please feel free to contact us for more details. The predecessor of company was Jiangyin Longshan copper and aluminum profile factory established in March 1993. At the begining, we just had 1 press machine and the annual production was little than 50 tons. By 2000, the annual sales was up to 150 million yuan. 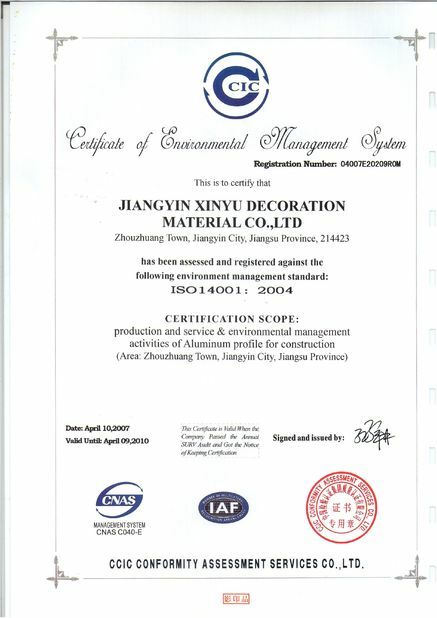 In june 2000, with the joint investment of Taiwan businessman, the Xinyu Decoration Material co.,ltd was set up. In july 2000, the Jiangyin Xinyu Investment co., ltd was set up. By the end of 2006 the we had invested Xinyuan Decoration Material co., ltd, Henan Yuxin Aluminum co.,ltd and Xinlv Aluminum co.,ltd. In addition we also share the Jiangshun Mould co., ltd and Jiangdong stainless steel co., ltd. 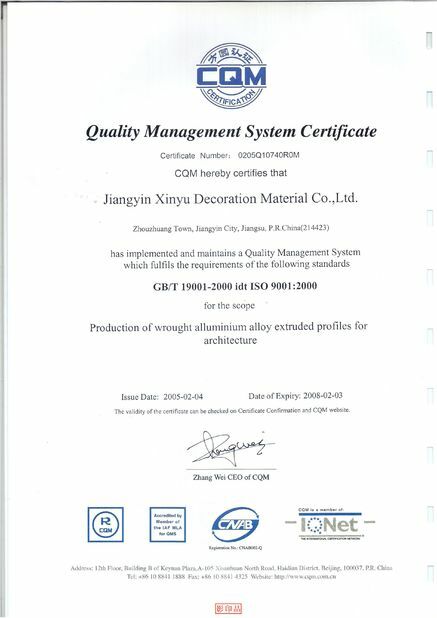 In July 2015, we succeeded in acquiring SAPA(Jiangyin) Co., ltd.
Now, we own several manufacture and sales company, including Xinyu Decoration Material co.,ltd, Xinyuan Decoration Material co., ltd, Color Aluminum Branch, Haoxulai Aluminum co., ltd and so on. 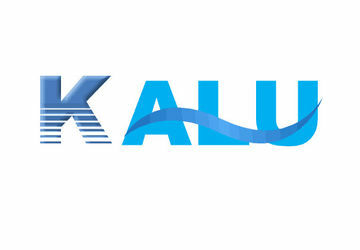 Xinyu Aluminum is integrating mold, fusion casting, extrusion and surface processing technologies, we are a professional producer of aluminum profile (perfil de aluminio, Aluminium-Profil),aluminum extrusion,aluminium door and window profile,aluminum beam, aluminum pipe and tube, industrial aluminum profile, construction aluminum profile, decoration aluminium profile, aluminum alloy, aluminium solar frame, aluminum frame,aluminum heat sink, aluminum rim, aluminum angle,aluminium profile for cabinet, aluminium profile for furniture,aluminum ladder,aluminum finished products,aluminum fence ,aluminum bracket, aluminium LED. We are currently expanding our business around the world, and have sold to customers in Asia, South America, Africa, Europe and other international locations. All of our current achievements can be credited to our devoted teams in each department, including production, technology, sales and service teams. With their concentrated efforts, Xinyu will be sure to progress in the future and provide more quality products.